I'm asked this question often despite the fact that I don't have kids and that this is a question usually asked of women juggling motherhood and a career. But I do have a lot on my plate. I teach full-time at a local high school for gifted and artistic teens. I blog. I freelance for several local and national media outlets. I run See Jane Write, a network for women writers, bloggers and entrepreneurs. I exercise every day. I'm a wife, sister, daughter, and friend and I'm active in my community and my church. So how do I do it all? With little sleep and lots of prayer. This past week has been especially busy. It was my first week back at school. And this year, I'm not only teaching but also handling my school's social media. 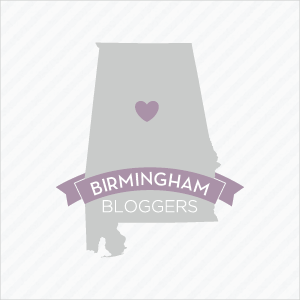 I've been blogging for Birmingham Restaurant Week. And I was on deadline for two freelance stories. Meanwhile, there's a laundry list of things I need to do regarding See Jane Write that I've been putting off for several days. So tonight I'm pulling an all-nighter. My husband's out of town and so I'm going to pretend I'm back in college and stay up all night working -- blogging, catching up on emails, handling paperwork, and working on revamping the See Jane Write websites. I'm even going to order pizza and listen to Sade like I used to do during my days at the University of Alabama (although, I'll probably throw some Beyonce in the mix, too, when I start feeling sleepy). Now, I know that not getting enough sleep is really bad for me. And I'm really trying to work on this. But until I figure out a solution, my "late night, early morning" lifestyle will have to remain. Despite how busy I've been this week, I've been sure to start every morning with God. Before I do anything, I spend time writing in my prayer journal and reading Scripture, searching for the verse that's going to give me the encouragement I need for the day. When I started to feel stressed and overwhelmed a few days ago I turned to Psalm 16:8, which reads, "I keep my eyes always on the Lord. With him at my right hand, I will not be shaken." Most days I share these verses on Facebook in hopes that they'll give my pals some encouragement too. I suppose I should add planning to my list of secrets too. I keep detailed to-do lists and plan nearly every minute of every day. At the heart of the question of how I do it all, however, is something deeper. 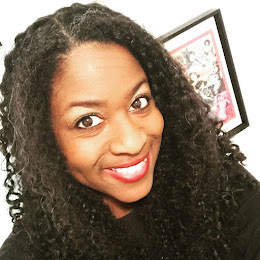 I think what people really want to know is how on earth I find the energy to do all that I do, especially since I suffer from a connective tissue disease that makes every move I make a little tougher than it would be for the average 33-year-old. My strength comes from my God and my goals. I have a dream that I'm pushing toward, a dream that I am confident God placed in my heart. And I decided a few months ago that I'm either going to make that dream come true or die trying. It's just that simple. Whoo hoo! Great blog post. You continue to inspire me. Thank you. By the way, which pizza company is that? LOL! No, but seriously, which one?